My October Bellabox arrived today. I opened the box to see that a lovely chocolate from Chocolatier had melted throughout the box. Whilst non of the products were ruined, it was definitely inconvenient to have to clean it off everything, especially having just arrived home from a day of good ol' fashioned learning. This box contained two products I received in early boxes, one of which was from Bellabox, but that's okay. I'll add them to my blog giveaway drawer and someone can look forward to winning them sometime soon. This box celebrated one year of Bellabox and, although I've only been a member for a couple of months, I love what they do. Their boxes are always great value and offer a wide range of products. Also, $1.00 from each box was donated to the Look Good.. Feel Better Foundation, with the box containing a selection of pink products to celebrate October, International Breast Cancer Month. I only received this box today so I'm not able to review the products yet. Instead I'll type out the information provided to me so you're able to get some insight into the items. If possible, I'll also include my initial thoughts. "Instantly lift and firm your skin wherever, whenever you need it. Use it at home, at the office or on the go. Over time, it even boosts collagen production and elastin retention in the skin. Simply lightly apply to skin - even over make up!" This product doesn't sound as though it's geared towards my demographic, being a 20 year old female. I'll give it a try though 'cos, well, I own it so why not? The sample won't be enough for me to see any drastic changes, however it'll be interesting. "This exfoliating serum contains plenty of ingredients to promote cell maturation, turnaround and removal without causing the slightest irritation to your skin! Apply on your face up to twice daily, after cleansing and before moisturiser, to reveal your best, newest skin, faster and easier than ever." I really like the sound of this product, although I'm wondering if my LUSH Ocean Salt has similar benefits? Regardless, I think it'll be nice to give this a try. Hopefully this small sample is enough to give me an indication of whether or not I'll like the product. "On our long list of nail polish loves, Sally Hansen is right up the top. Their 60-second manicure nail colour is no exception! Sweep this pretty pink shade over nails for a fast colour fix"
I like the look of this colour but I received this polish in my January Glossy Box. I may have thrown it out when I did a nail polish cull, purely because I didn't use it often/ever and now I'm trying to wear bright colours. Do you like the look of this colour? Good, because it's going straight into my blog's giveaway drawer. 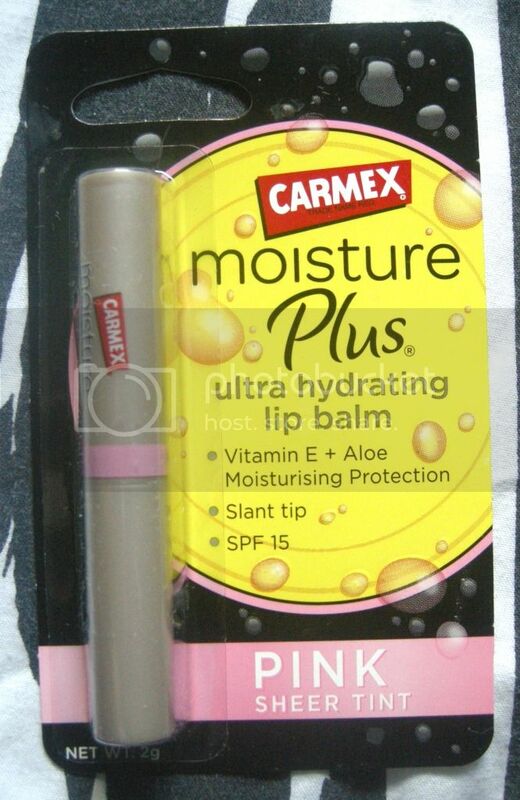 "Get the best of both worlds for your lips with the classic Carmex ingredients mixed with a touch of sheer pink colour in this sleek new package. 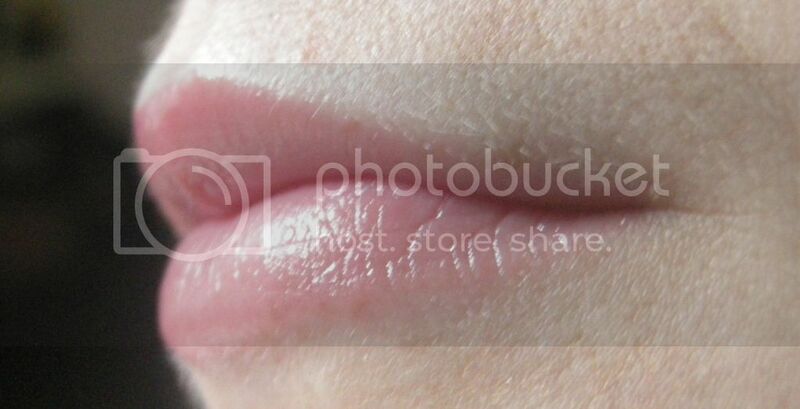 This ultra-hydrating gloss is perfect for throwing in your bag for hydrated lips on the go." As you can see from the picture I included, this is a really pretty mid toned pink colour. It's going to be great for days when I forget to bring my lip colour as I think the fact that it's sheer will mean it works well with lots of looks. Unfortunately this product still contains the menthol properties of the original Carmex. "Just in time for spring, the cult classic DKNY Be Delicious Fresh Blossom scent gets an intense makeover! Delicate florals, citrus and a crisp apple blossom accord combine for a feminine and sensual scent. DELIGHTFUL DKNY!" I absolutely LOVE DKNY's original Be Delicious perfume (green bottle) and, although it's perfect for spring/summer, this will be a great addition to my handbag perfume collection. It's a nice perfume, however it's doesn't compete with the green apple version. "Perfect for delicate hair, this shampoo is gentle and kind to tresses, providing moisture and protection that over time helps deter breakages and split ends with post-cleansing combing." If you follow my Facebook page you'll know I ran out of shampoo recently. I've since bought another bottle from my favourite brand, however, but this will be perfect for emergencies such as the one I faced the other night. "This conditioning cream does everything you want it to - working deep down inside the shaft of your hair, to penetrate every strand for nourishment from the root to the tip. Hair is left soft, luxurious and full of body. 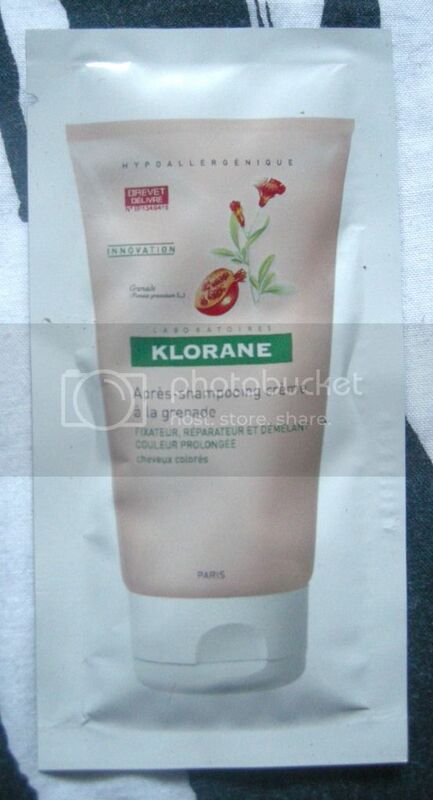 Use as a weekly treatment by applying through rinsed, towel-dried hair before rinsing after 5 to 10 minutes." I love treatments, especially when they claim to provide hair with nourishment. 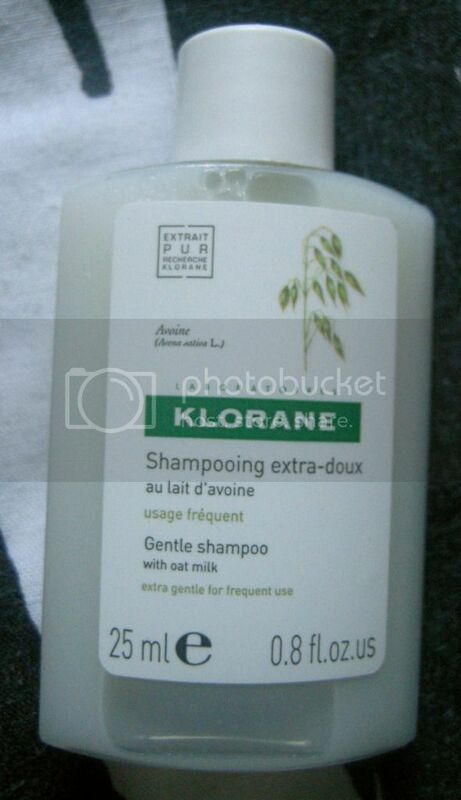 My hair needs all the nourishment it needs so I'm looking forward to giving this a try sometime in the next few days. "The soft, easy to blend tip of this pop coloured liner glides along the lash line for an intense outline in one stroke. Plus, the ultra soft brush perfectly smudges the formula." This is the second product I've already received and, to be honest, it came in an earlier Bellabox (July's, to be exact). I rarely used the first one (I just don't use pencil eyeliner much), so I definitely don't need a second. This will go in my giveaway drawer also. So, everyone, that was my October box. There's been a few differences in the box for this week (i.e. I saw someone got an eye cream from Bobbi Brown) but, all in all, I was neither happy nor disappointed in my box. I definitely would've loved the Bobbi Brown over an eyeliner I already received but, oh well, that happens..
What did you receive in your latest box? Did you get any double ups?